Palladium Books is on the move and making strides. We have one truly great book for you after another, and we have plans in place to support all of our game lines. But our battle is far from over. We need your continued support. We need you to purchase the books and products that tug at your imagination. We need you to continue to spread the word about Palladium Books and our many game lines. We need you to let others know how much fun our games are to play. We need to make sure gamers know we have one Megaversal Game System. That when you learn to play any one Palladium game, you have the tools to play ALL OF THEM. Better yet, you can bring in characters, weapons, magic and abilities from one setting to another with little to no conversions (depending on the settings). Hence, a Megaverse® of adventure that is truly limited only by your imagination. No other game system covers the range and flexibility of Palladium Books. Nobody offers the range of dynamic settings and gaming opportunities. Nobody. And we need to let the world know that. 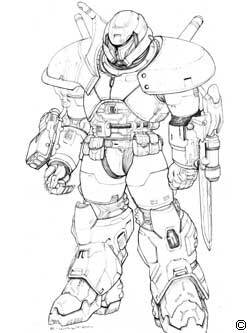 I guess this is on my mind because I heard from a few dismayed Palladium fans at the Open House, how some people think Palladium Books died back in 2006 due to the Crisis of Treachery. I heard it myself from a half dozen people last year at Gen Con. We need to fix that. 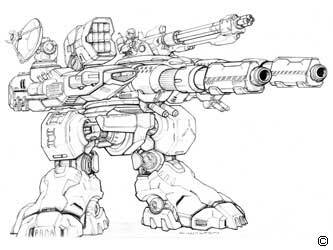 We need to let gamers know Palladium Books is alive and producing some of the best products ever. And I’m not talking about new gamers who haven’t yet discovered Palladium. I’m talking about gamers who know and love our games, but don’t realize Palladium has survived and continues to create games they love. The problem was compounded by the 2008 global economic collapse from which many of us are all still recovering. The global economic crisis caused many game companies to move away from the niche RPG market, and many stores feeling the crunch went out of business or reduced the range of role-playing games they carried. This resulted in an RPG industry-wide slump and reduced production of role-playing games. Ah, but interest in RPGs is growing. Sales are slowly picking up. Several companies, Palladium included, are starting to make some noise with their products. Now we need to raise the growing chatter into a roar. To that end, Palladium is looking into various avenues of promotion and advertising. We still have limited resources, so our options are limited, but we are open to all possibilities. Especially things we can do ourselves at minimal cost. We would appreciate your suggestions and input on the matter. Please feel free to share your ideas with us via private messages, emails and online posts in our forums. The Palladium Website. We’ll be doing some routine maintenance, and making upgrades and changes behind the scenes over the next few weeks. That means it is a good time for you to offer suggestions on things you might like to see added, changed and improved on the website. Okay, maybe not “those” Avengers. But Palladium has assembled a team of super-talented artists and writers. An assemblage of top talent dedicated to the future of Palladium Books and dedicated to raising the bar for role-playing game products. The ideas from everyone at Palladium – from staff to freelancers – are flying like crazy. We can’t have a half-hour meeting without it exploding into a 3-4 hour brainstorming session. The creative energy is off the charts. All of us are pumped up and raring to go. Our goal is to create new sourcebooks and games that will continue to blow you away. The books already in the pipeline are going ignite your imaginations and delight. The new projects we’re already lining up, and haven’t even told you about, are just as exciting. Meanwhile, there are things boiling behind the scenes that could be huge. People from within and outside Palladium looking at our amazing world settings and IPs with an eye to expanding their reach into new markets and mediums. To help fund and facilitate new Palladium products and growth, we will continue to offer new Megaverse® Insider crowdsourcing opportunities. Such crowdsourcing will be reserved for major releases and new ventures into new markets. Moneys made above and beyond our projected goals are applied to paying off debt, increased and superior promotion/advertising, and other new products. Palladium’s Megaverse® Insider offers, in effect, sell you an array of special items that are NOT generally available to the public. Product available only to Megaverse® Insiders and only for the limited 2-3 week period of that specific Megaverse® Insider offer. “Insider exclusive” products include your name listed in that book as one of the “Insiders” who made it possible, a very limited edition hardcover, a more limited edition collector’s hardcover foil edition, a PDF version of the book, and special combination packages that may include limited edition prints, original artwork and a call from me, Kevin Siembieda, for a brief chat. I’ve spent much of the week going over manuscripts, breaking them into smaller sections, and prepping them for a) final edits and rewrites, b) additional material, and c) final art assignments. Boy oh boy, are the upcoming books epic. And we’ll be grinding them out one after another. If you love zombies and you’re a gamer, you NEED to check out the Dead Reign™ RPG series! The game setting of the zombie apocalypse is action-packed fun, and the elements of survival and rebuilding human civilization adds a deeper dimension of play. 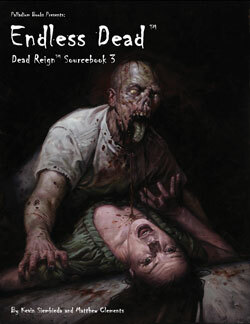 Endless Dead™ is the latest sourcebook for this ongoing series. There are a couple of cool zombie T-shirts and a coffee mug for the Dead Reign™ RPG too. This week I started my final editing and writing for this book. I’m tempted to say I’m especially excited about the additional information about Reid’s Rangers and Camazotz, but I’m excited about everything in this book! Werebeasts, the Yucatan, Doc Reid, Reid’s Rangers, Fort Reid, Camazotz, the Vampire Kingdoms, Vampire Hunter Slayers (vampire henchmen who hunt and destroy Vampire Hunters! ), and a bunch of other good stuff. I’ve gone over the manuscript, broken it down into sections, done a few bits and pieces of editing, and have a couple people working on some additional bits to include. That last part is a little crazy, because this book is already packed with awesome material. You’re going to love it. I’m figuring out which artists should illustrate which sections and will assign the art next week. 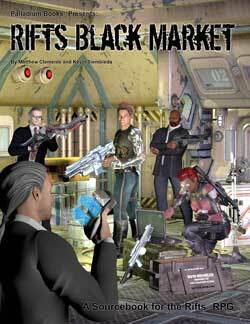 See the new description for Rifts® Black Market later in this Weekly Update. I’ve gone over the manuscript and finally divided the material into each book. There may be a few tweaks and changes, but I think we are all set. Meanwhile, Chuck is busy working on the cover and interior art. See the new description for Northern Gun™ One later in this Weekly Update. Note: Northern Gun™ One – Megaverse® Insider crowdsource funding offer runs June 7-25, 2012. It will be structured very much like the Lemuria offer. As requested, we are trying to give you the advanced notice you’ve asked for. Northern Gun™ Two – Megaverse® Insider, crowdsource funding offer will take place in July, 2012. It will be structured very much like the Lemuria offer. Full details for both Insider offers have yet to be finalized. Same story as above. I’ve gone over the manuscript and divided the material into each book. There may be a few tweaks and changes, but I think we are all set. Meanwhile, John Zeleznik has been busy working on the cover. I need to assign the rest of the artwork. See the new description for Northern Gun™ Two later in this Weekly Update. I’ve gone over the manuscript, broken it down into sections, did a few bits and pieces of editing, and will be assigning art for it by the end of June. This book will knock your socks off. See the new description for Rifts® Megaverse® in Flames later in this Weekly Update. I’m pleased to report that Rifter® submissions have been pouring in over the last few weeks with reports of more in the works. Thank you guys. Wayne will start plotting The Rifter® #59 next week. The Rifter® #49 and #50 are now available on DriveThruRPG.com and we’ll add a few more next week. 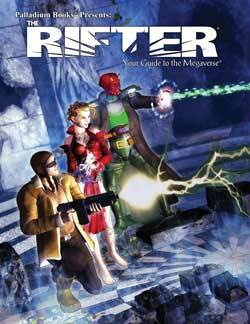 We’re also continuing to move forward with plans for the PDF only editions of The Rifter® #0.1 and The Rifter® #0.2 – both are big, juicy digital editions of new, fan created material for the Palladium Megaverse® of games. 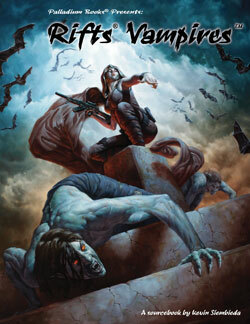 Don’t forget, DriveThruRPG.com also offers the Rifts® and Palladium Fantasy® Game Master Kits (both written by Carl Gleba and complete with maps, combat matrix, character sheets, spell list, and 20 pre-rolled characters created by Julius Rosenstein; $5 each), and FREE Sneak Previews of Endless Dead™, Rifts® Lemuria, Rifts® Vampire Kingdoms™, Thundercloud Galaxy™, as well as 90+ back stock titles, including back issues of The Rifter®, and first edition rule books for Rifts®, Palladium Fantasy RPG®, Heroes Unlimited™, The Mechanoid Invasion® Trilogy, and lots of other good things. ALL available as PDF downloads at reasonable prices. And there is MORE to come. Despite a plethora of recent new book releases, reprint titles, and new non-book products, the past week’s sales have been steady but a bit soft. Of course, sales were strong when the new products were initially released and distributor sales have been healthy, so we’re not too worried. We also know people are hungry for new product which is always a good sign. It is the Memorial Day weekend in the U.S. For most of us, it is a “holiday” spent going on a mini-vacation, barbecuing, seeing movies and hanging with friends and family. That’s cool, and please, have a wonderful time. But let’s not forget who we’re supposed to be remembering. The men and women who have served (and fallen) in military service. These men and women may include our fathers and grandfathers, mothers and grandmothers, aunts and uncles, dear friends and fellow gamers. There are a lot gamers in the military. A lot. And I worry for their safety. But whether those in military service are gamers or not – whether you agree or disagree with the politics – they are all putting their lives on the line for this country and us. And that’s worth taking a moment to reflect upon and offer up a little prayer and thank you on their behalf. I, for one, want to say thank you, right here and now, to all of you in military service. Thank you for taking a stand for what you believe is right. Thank you for having the courage to fight for the greater good and try to keep us safe. My sincerest sympathies, prayers and thanks to the families who have suffered the loss of a loved one in the line of duty. Your loss can never be filled. One can argue that you, the families who have suffered such a grievous loss, and the service men and women who have survived but lost so many brothers and sisters, yet must press onward, have made the greatest sacrifices of all. A sacrifice, I’m selfishly glad to say, most of us do not know. I can say that only because of your sacrifices. Thank you. Please know that your sacrifices have not fallen on deaf ears. Please know that you are remembered, respected and appreciated by many of us. I’ll be thinking of you and your families and friends throughout the weekend. I’ll be making that little prayer of thanks and asking God to keep a watchful eye over you, and to give you a moment’s peace and the strength to press forward when you need it most. I may even stop by the home of the family a few blocks away where a Palladium gamer in the military will game no more. They don’t know me, but I think I’d like to tell them how sorry I am for their loss and thank them for their sacrifice. Hey, it is a holiday! Go out and have fun too. I sure don’t mean to end this Update on a down note, nor, I’m sure, would those in military service wish me to. I know enough vets to understand they feel they are just doing their job. Yet, like all of us, I also know they like hearing we appreciate their hard work and good intentions. Everyone, enjoy the long weekend and have a safe, wonderful time. Play games, have fun and share laughter with those you love. Me, I’ll be working a little, relaxing a little and holding those I love close. Endless Dead™ is a new 96 page sourcebook that is awesome. You need to purchase it. ;) And if you haven’t tried Dead Reign™ yet, what are you waiting for? The Rifter® #49 and #50 just added – available now. ● New! Rifts® Pencil – Cat. No. 2561 – 50 cents per each pencil.